Dr. K, I’m seeing more of those fancy hand dryers in public restrooms. Are they better than the paper towels? 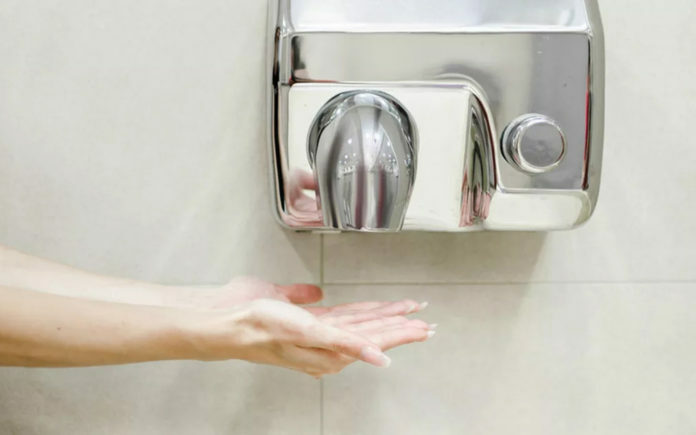 Lawrence, while hand dryers may be better for the environment since they don’t use paper, they are not as effective as paper towels in keeping your hands bacteria free after washing them. Hand dryers will also tend to spread bacteria around the area because it is also blowing whatever germs are left on your hands after washing. An interesting statistic about hand washing is that while 95 percent of men and women surveyed say they wash their hands after using a public restroom, only 67 percent actually do. Remember that after you shake someone’s hands. Some people also consider that simply wetting your hands without soap is effective, which it is not. If you are going to use a public bathroom, I recommend you initially wash your hands when you first get there because you don’t know what you were touching and you are going to be handling your intimate body parts. When you are done with your business, wash your hands again with soap and water. If paper towels are available, use them to shut off the faucet. If you have to use a paper towel dispenser, try and use your elbow on the handle to avoid touching it with your newly cleaned hands. Also remember to use a paper towel to grab the handle of the restroom door when you leave. If 33 percent of people don’t wash their hands after using the restroom, I can only imagine what kind of bacteria live on a restroom door handle. Since I’m going on another rant about the importance of washing one’s hands, especially after using a public restroom, have you ever used your cell phone in the restroom? Have you ever seen somebody using their cell phone in the restroom? Dear Dr. Kadile, I work in the fitness industry as a personal trainer. I frequently work at several different gyms with different clients in one day. Is using hand sanitizer between gyms and clients as good as washing my hands? Dear Dr. Kadile, is antibacterial soap better than regular soap? Glen, research has shown that plain soaps are just as effective as antibacterial soaps in reducing bacteria related illnesses. As I’ve said in previous issues of CV Weekly, most upper respiratory infections are caused by viruses, thus antibacterial soap wouldn’t help in preventing colds and flu. Proper and thorough hand washing is the key, so make sure you wash your hands for at least 20-30 seconds.